Free Android APP to control directly without port fporwarding / port mapping. IP Power 9858 is a new generation of the Power Distribution Unit (PDU) & Remote Power Control (RPC) system. With embedded web server and HTTPS protection , 9858 supports higher grade security as working on Internet. User can control power easily and more safely through the web browser on Windows PC or on Smartphone like Internet Explorer (IE) , Firefox , Google Chrome , Safari ( iOS ) and Android system. 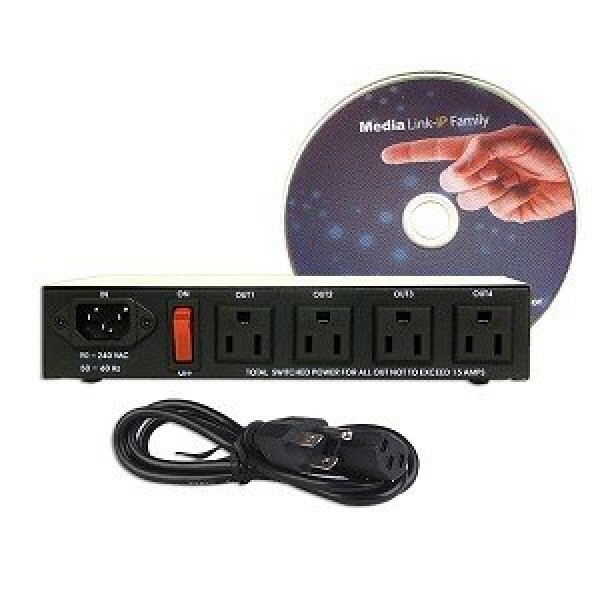 9858 allows user to remote control power up to 4 separate devices on/off via network . as the ON/OFF status change . Not only control manually, 9858 supports Time Scheduler ( 4 rules) , LOG & SYSLOG - send log info. to assign IP(IP address which is more suitable for factory / office / home automation . There is another option function "Auto Ping " for 9858 + Ping model. 9858 also can work under low temperature range at 0 ~ 50 (℃) or 32 ~ 122(℉) . System Integration, Remote Power Control in Remote locations ………….. etc. User Friendly . Convenience & Powerful !! Web Server built-in design, directly control by web browser PC & Smart phone :Internet Explore (IE) , Firefox , Google Chrome , Safari - iPhone and Android browser of smart phone. ( WIN , Android & iOS) . Support HTTPS , SSL , TCP/ IP , PPPOE, DHCP, DDNS , SMTP , Telnet & SNMP. Time Schedule - can pre-set 4 rules at a suitable time to turn power on / off automatically . Support public e-mail -- @gmail.com , @yahoo.com , @hotmail. com ..........etc. E-mail Advice : Receive Email with IPs device boot up , ON/OFF change advice . Router without port forwarding , simply Plug & Play . Warning sign In English and Spanish 11/18"